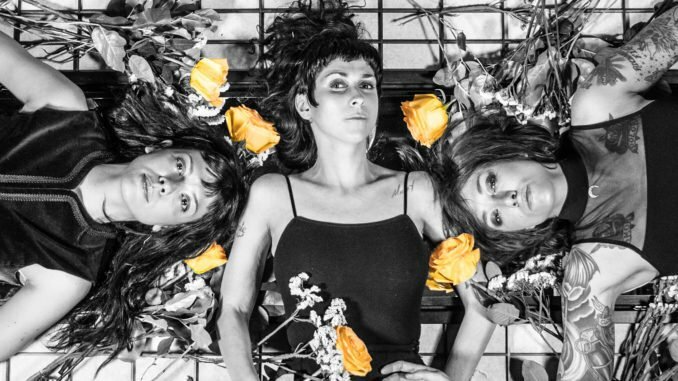 Today we’re excited to announce the latest work from Atlanta’s three-woman riot, The Coathangers. New album ‘The Devil You Know’ is due out on March 8th via Suicide Squeeze Records. For 12 years The Coathangers have been building an infallible reputation for chaotic punk rock and visceral live shows, but this sixth LP is a record that captures their established takes on vitriolic punk, playful house-party anthems, and heart-worn ballads and melds them all, revealing a new level of songwriting and nuance. “The writing process was done with an open heart,” says Kugel. “Everything that came before had to go away. Whatever hang-up, whatever thing we were holding onto, it had to go away. And we started there, at ground zero.” This may sound like the band was going through some Hüsker Dü-level personal drama, but the reality is less gritty and salacious. The individual members had merely become entrenched in their way of doing things. Kugel excelled at the melodic pop songs. Drummer/vocalist Stephanie Luke belted out the gritty rock tunes. Bassist/vocalist Meredith Franco drove the post-punk and no-wave angles of the band. With each album, you could hear the individual songwriters honing their style. 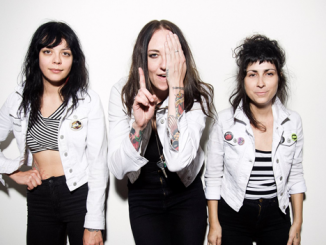 But with ‘The Devil You Know’, it feels like we’re hearing the first Coathangers record written as a true unit. There’s a newfound discipline, depth, and dimension like each member learned how to imbue their bandmates’ songs with their own personal touch. 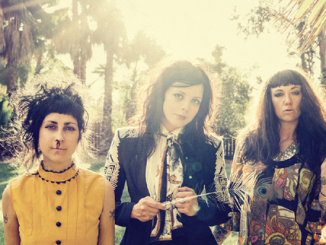 THE COATHANGERS share second track from album and announce tour dates!